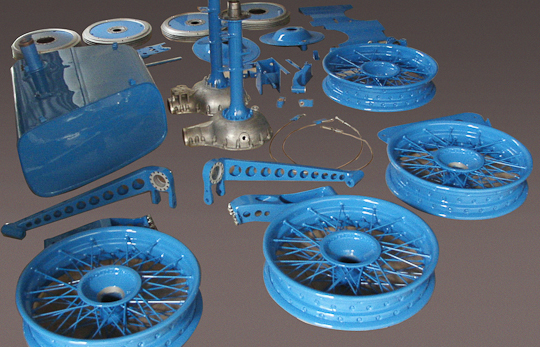 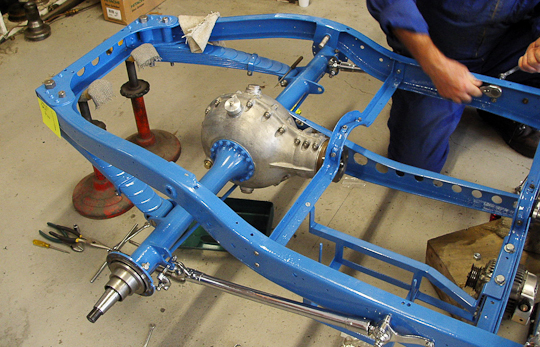 Independent swing-axle front suspension by Leslie Ballamy. 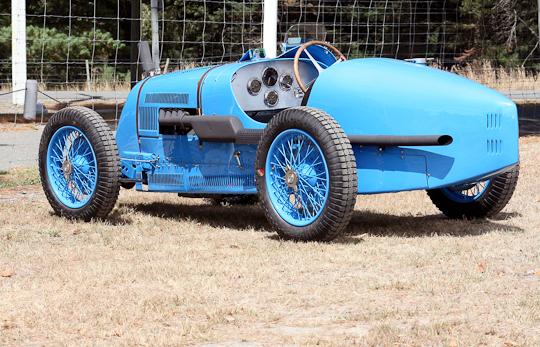 Starting life as a Type 37 Bugatti, this car was owned and raced by T P Cholmondeley Tapper who vividly described his exploits in his book “Amateur Racing Driver”. 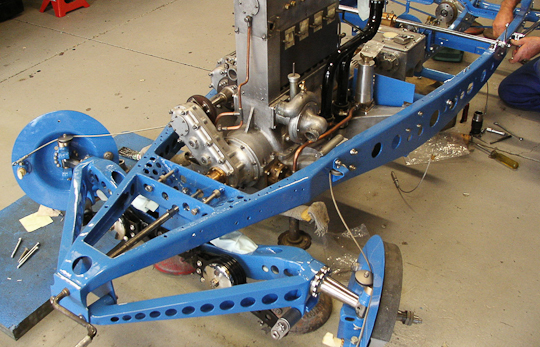 A subsequent owner commissioned independent-minded engineer Leslie Ballamy to convert the front suspension to one of his swing-axle designs that he usually applied to Fords. 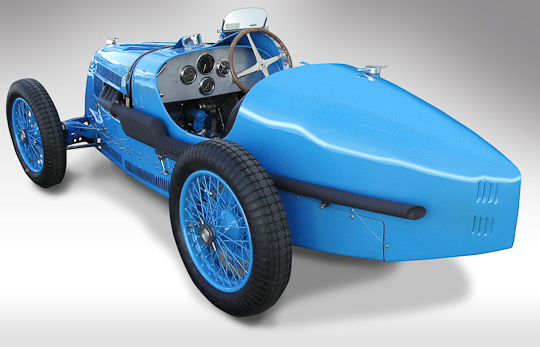 At the same time, the classic Bugatti radiator was replaced by a specially-made one enclosed in a narrow, streamlined cowl. 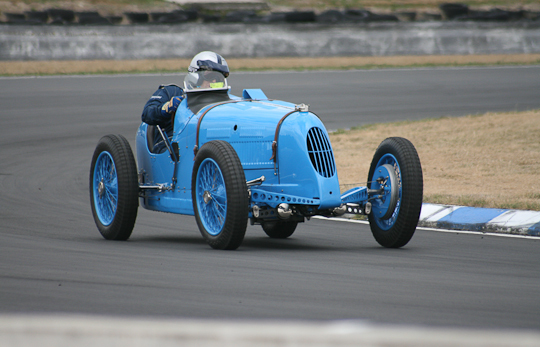 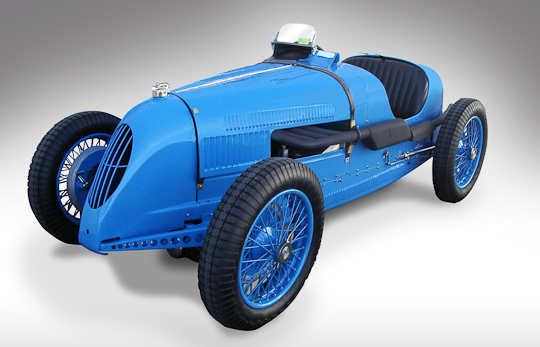 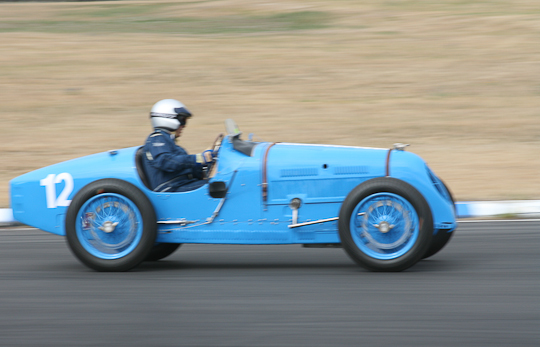 The car was raced in this form by Ballamy and, on one occasion, by Richard Seaman, until WWII, during which its engine was lost to the wartime scrap drive. 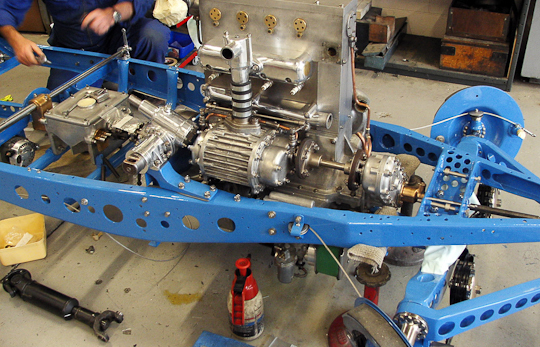 An Australian bought the engineless car and shipped it downunder where he fitted a Holden engine and continued to race it well into the sixties. 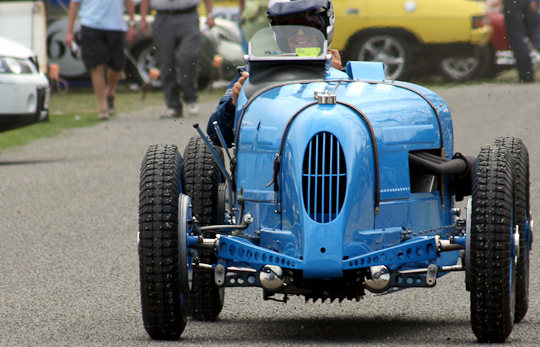 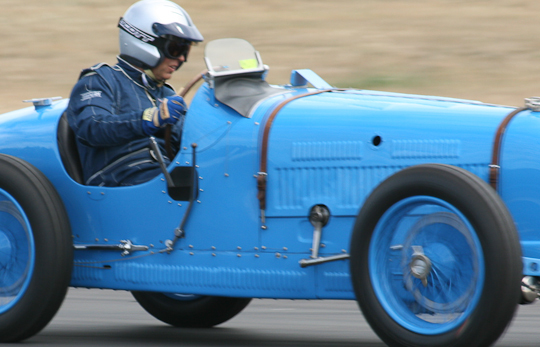 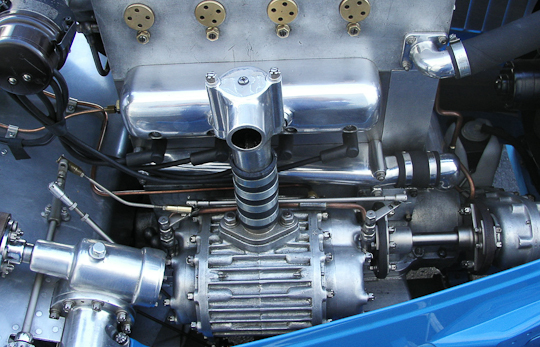 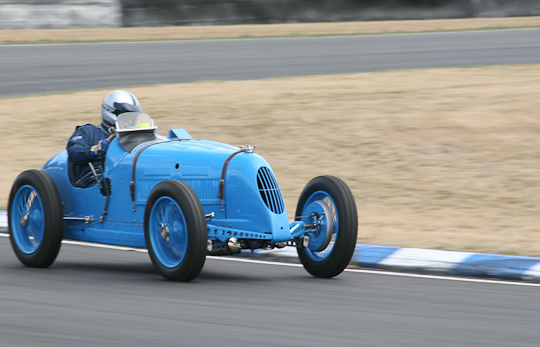 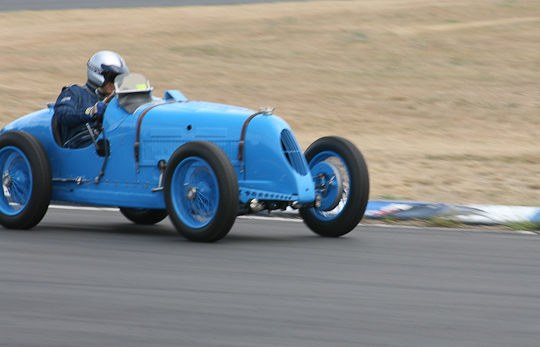 A later owner replaced the Holden engine with the correct Bugatti type, discarded the Ballamy proboscis but retained the unique front suspension. 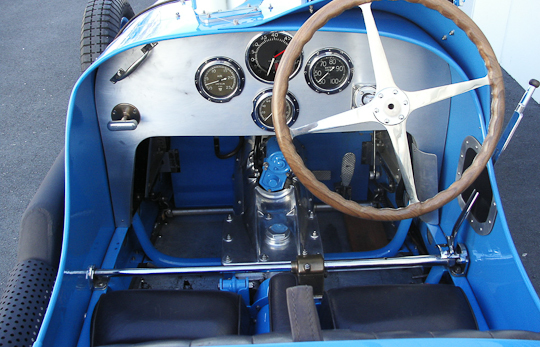 The car changed hands again in 2005 and the new owner commissioned Auto Restorations to restore the car to full Ballamy specification. 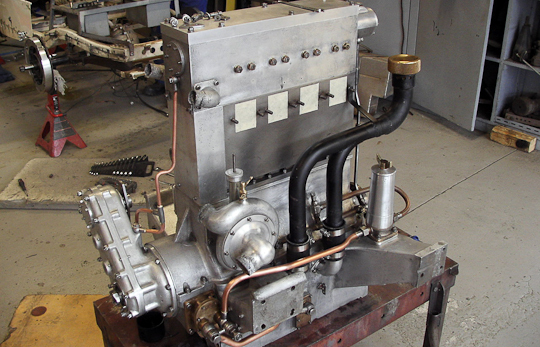 The restoration entailed making a new nose and radiator, returning the hydraulically-operated brakes to original mechanical operation and making a new fuel tank to original drawings. 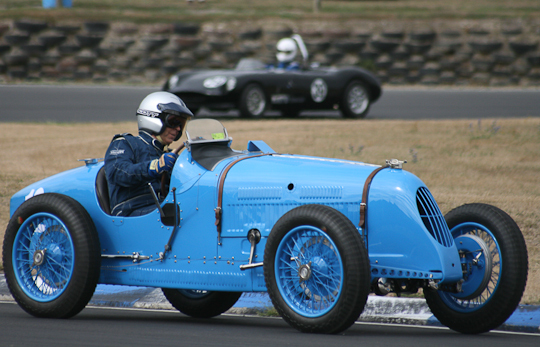 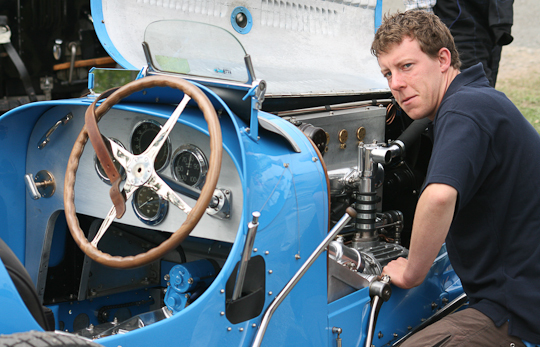 The car has since competed in classic racing events in New Zealand and Australia.